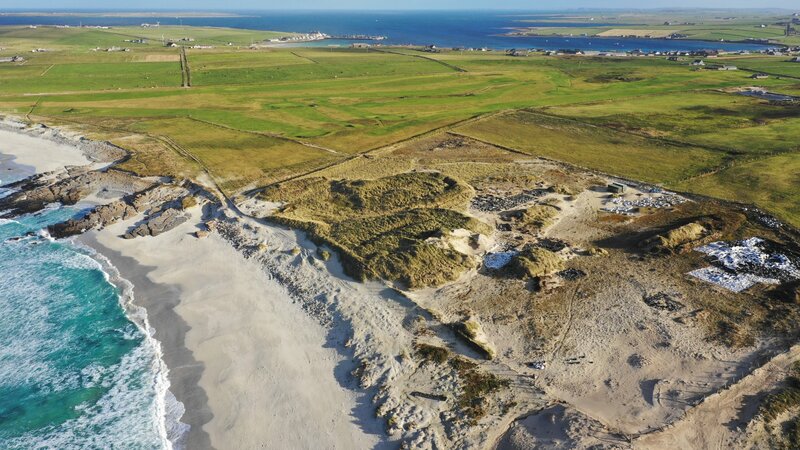 Grobust is just one of the beautiful beaches to be found in Westray, one of Orkney's north isles. It's a beach that is popular with locals and can be found just a short walk or drive away from the village at Pierowall. It's at its best after a northerly gale has passed, throwing big blue waves into the impeccably clean sandy shore. Nearby are the remains of an ancient Neolithic settlement, at the Links of Noltland. These buildings are being slowly uncovered from the sand by archaeologists. The 'Orkney Venus', or 'Westray Wife', as it was known locally, a tiny stone figurine thought to be thousands of years old, was found here during excavations in 2009. Grobust is definitely a beach to add to your list.